Having friendlier, cleaner looking URLs has always been a challenge in WCS. In the past it would require a developer to write a Java class. Once the class had been written it would need to be configured and deployed on every instance of WebCenter Sites in your setup. If you wanted a second assembler for another asset type or blobs that would require even more configuration and coding to work properly. Suffice it to say that in the past making a friendlier URL was a difficult task especially if friendly URLs were not set up during the initial build. This has all changed with the advent of WebCenter Sites 11.1.1.8. Friendly URLs have been built right into the Advanced Interface and no longer require as much specialized knowledge. 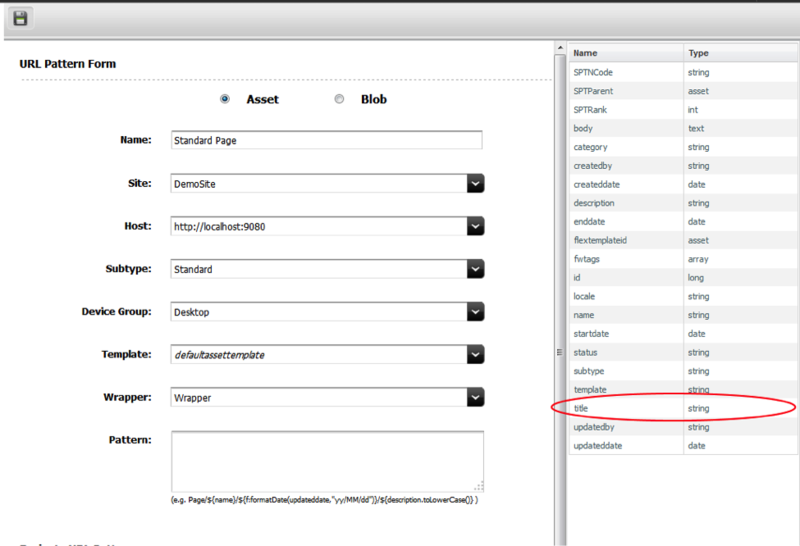 An administrator can find this new feature in the Admin tab under Asset Types inside the Asset that is being configured. Now I am ready to start creating my first URL pattern. As you can see I can be as generic or as specific as I want to be. No longer do I have to worry about writing my templates and URL assembler to work together to render the final product. The system will go ahead and take care of that for me. The URL is comprised of the different attribute values available to the asset. In the case that the Subtype is set to “Any” I will only have access to the default basic attributes that come along with every asset type that is created. By selecting a subtype I can now use attributes that are a part of that asset type in the URL. The primary downside to this is the fact that now the “Standard” subtype will have its own pattern. If I only set up the “Standard Page” URL only page assets with the subtype “Standard” will have a friendly URL. It is a good idea to set up a pattern for “Any” type as before going live. Last we will put it all together with the pattern itself. The pattern uses the Java Expression Language to build the URL. As you can see I can put as much or as little information in the URL as I want too. When I have finished configuring the URL, at the bottom of the page I can get a preview URL for existing pages. This way I can test to make sure my URLs are going to come out clean looking before I implement the new URLs. Then I can save and I have completed building the URLs. 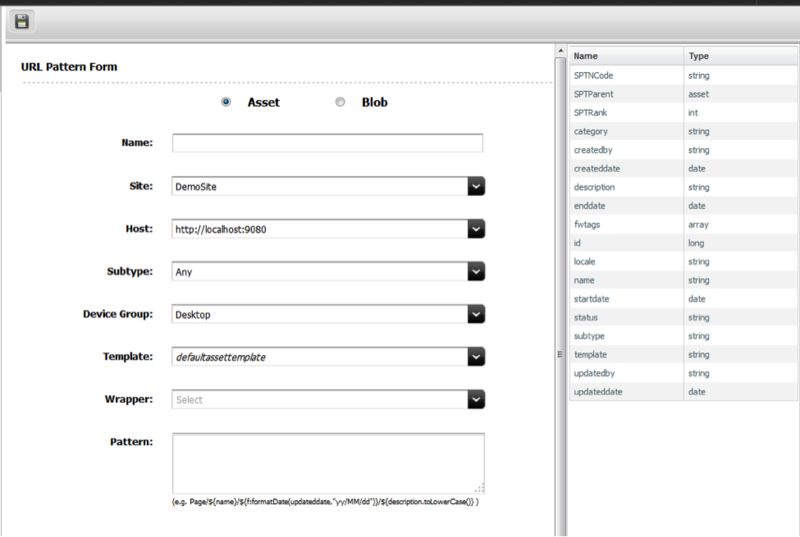 URL Patterns are stored as a part of the asset type. Which means that all I have to do is publish the asset type to get the URL pattern to be pushed between systems – this tool is kept as simple as possible. All in all, the new URL pattern tool is a powerful and easy to use tool and a welcome addition to WebCenter Sites. Whether it is the ability to generate URLs using any information in the asset or the ability to make the URL assembler as specific as we want. URL assemblers are now much easier to make and implement. This entry was posted on Wednesday, March 4th, 2015 at 1:47 pm and is filed under How To, Oracle, WCM, WebCenter Sites. You can follow any responses to this entry through the RSS 2.0 feed. You can leave a response, or trackback from your own site.